For the past 16 years, the San Francisco Chronicle Wine Competition has been the barometer of how consumers measure and select their wine. The San Francisco Chronicle Wine Competition (SFCWC) is the largest competition of American wines in the World and broke records again last year with an astonishing 6,417 entries. Submissions came pouring in from boutique wineries and large scale producers spanning 28 different states throughout the country. Year after year, wineries return with more entries because they see the intrinsic value that a “San Francisco Chronicle Wine Competition Award Winner” title can bring, including increased sales and brand recognition. In honor of our “Sweet Sixteen” years of competition, we’re showcasing a few of the biggest benefits of entering your wines in the San Francisco Chronicle Wine Competition. Winery award winners will be recognized in a 32 page SFCWC Wine Awards Special Section in The San Francisco Chronicle on Sunday, February 7, 2016 reaching over one million people in the greater San Francisco Bay Area, the richest wine demographic in the world. The Best of Class and Sweepstakes winners will also be published on SFGate.com, the online home of the San Francisco Chronicle and the largest online search engine in Northern California. Sweepstakes and Best of Class winners are recognized in numerous consumer and wine related media outlets such as the San Francisco Chronicle as well as in Wine Press Northwest, Wine and Spirits Magazine, the Santa Rosa Press Democrat, and many other national and regional publications. Wines entered are evaluated by over 66 of the most prestigious wine judges in United States, including Jon Bonné, wine editor of the San Francisco Chronicle, Wilfred Wong, Chief Storyteller at Wine.com, Jessica Altieri, CEO of Wine Channel TV, and many more. Award winning sweepstakes and gold medal winners get featured prominently on radio and television shows. KGO Radio and NBC Bay Area television are annual sponsors and highlight winning wines and conduct live broadcasts from the event. Major retailers such as BevMo! sponsor the event and highlight it to their membership of over 30,000. Plus, Whole Foods and Savor California also join as sponsors and support the competition with cross promotion to thousands in their customer base. Wine awards included in POS materials will aid in distribution to multiple channels such as grocery stores, liquor stores, fine wine shops, restaurants, bars, and more. Winning wines entered will receive exposure throughout the year on WineJudging.com, as well as on the official WineJudging.com Facebook and Twitter pages. In the weeks leading up to the competition, WineJudging.com sees over 30,000 hits per day on its website. 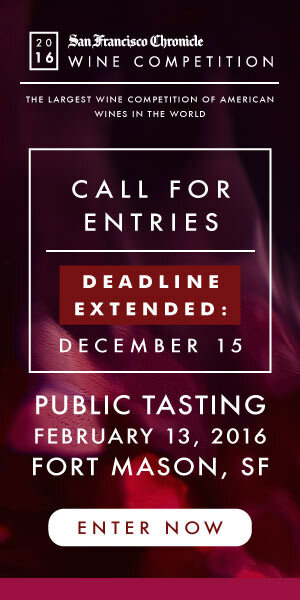 Winning wines entered will be put in front of the most influential wine buyers and wine educators in the industry. Many award winners are invited to pour at the San Francisco Chronicle Wine Competition, which is consistently a sellout event each year and draws a young, affluent demographic. Wineries will enjoy unique, grass roots marketing opportunities for gold medal winning wines. Award winning gold medal wines will be featured in social media promotions in various digital platforms. Wineries will see increased attention for award winning wines with participating Vineyard and Vintners Associations throughout the country. Wineries have a new, easy online way to register and enter their wines through EnofileOnline, a state of the art wine management system. Make new wines and drink the old, some may win silver and some may win gold! Silver and Gold winners will receive a well known commemorative plaque which can be displayed in tasting rooms and at winery events. Because in wine there is wisdom, but in awards there is prestige. And prestige is priceless.